Bike the 13-mile loop around the beautiful city of New Ulm! This paved recreation trail is well marked and has several benches for resting. Along the way, take in the Minnesota River, a few city parks, and even some farm land. Download the map here, or stop in to the Visitors Center for a copy. 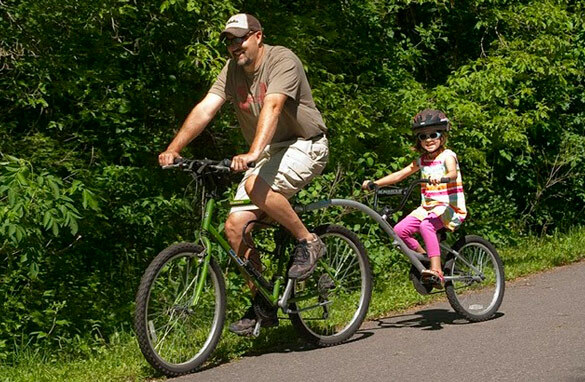 In 2016, the City of New Ulm approved designated bike routes throughout the city to connect the Bike Circle Route to local attractions, downtown, grocery stores, and other areas that residents and tourists frequent. Several New Ulm attractions are just blocks off the trail, including: Hermann Monument, Schell’s Brewery, Historic Downtown, Glockenspiel, and Flandrau State Park. These designated bike routes are marked with sharrows painted onto the street. Download the map here, or stop in to the Visitors Center for a copy. Look for the Heart of New Ulm bike racks located throughout the city. There are also designated safe walking routes in New Ulm. To learn more about how New Ulm encourages active lifestyles, visit the The Heart of New Ulm Project. At the request of many bicyclists, the Minnesota Department of Transportation has created county bicycle maps! View the Brown County Bicycle Map here. New Ulm Community Education has a fleet of 15 bikes and an enclosed trailer available for rent by community groups such as Scout programs, childcare programs, summer programs and faith groups. Contact Community Education for more information and an application. 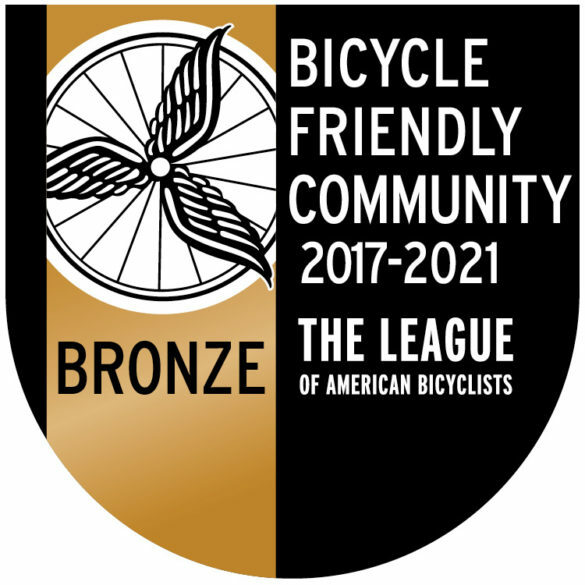 In 2017, New Ulm earned the Bronze Level Designation as a Bicycle Friendly Community by the League of American Bicyclists. More information here.